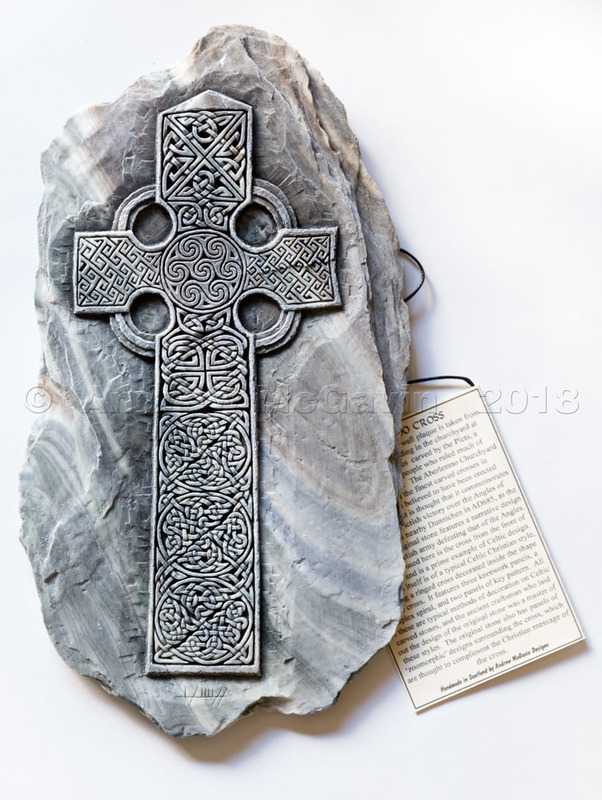 The Celtic Cross used on this wall plaque is found on the ancient Celtic stone in the Churchyard of the Angus village of Aberlemno in eastern Scotland. The original stone is of the finest carved stones in Scotland. The front face has the intricate Celtic Cross design used on this wall plaque surrounded by fabulous Celtic creatures, while the back face depicts a battle scene showing the defeat of invaders by the Picts (the local Celtic tribes).